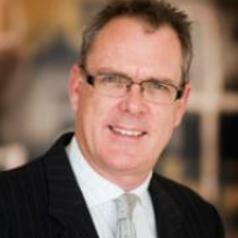 Professor Jonathan Fulcher is one of Australia's Leading native title and cultural heritage Lawyers, and applies his extensive resources, native title and cultural heritage experience to mining, oil and gas transactions, infrastructure developments, joint venture arrangements, and asset and share sales and acquisitions across Australia and internationally. Active in practice and academia, Professor Fulcher delivers Lectures in Native Title at The University of Queensland and Griffith University. He is a current member of The University of Queensland Centre for International Minerals and Energy Law (CIMEL). Professor Fulcher has also been published in various international journals and has delivered papers at conferences and symposia in Australia, New Zealand and UK. Professor Fulcher was listed in Doyle's Guide to Australia's Leading Native Title Lawyers in 2010, 2012 and 2014, and is also one of Australia's leading native title and cultural heritage lawyers, as ranked by Chambers Asia Pacific every year since 2007.